The mournful whistle of a ghostly locomotive heralds the approach of The Mysterious Traveler. Maurice Tarplin plays this blithesome bringer of bad tidings and terrifying tales. From out of the past, he brings stories of suspensefully unsuitable spouses, treasure hunters and time travel, the mysteries of the dead and their designs on the living, and the future… as imagined by a former generation. 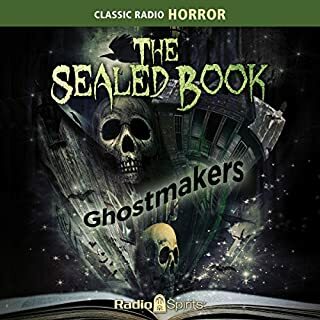 Follow the sound of crashing waves, howling winds, and tolling bells to tales of treason and vengeance, beasts and plague, haunted houses and curses, mystery and murder. 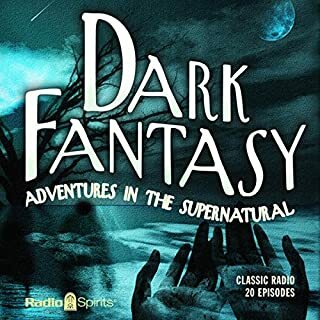 These vintage chillers, written by Edgar Allan Poe, Herman Melville, Charles Dickens, Emily Bronte, Alexandre Dumas, and Guy de Maupassant, are brought to life by William Johnstone, Frank Lovejoy, Mercedes McCambridge, Eleanor Audley, Lon Clark, and more. Inner Sanctum Mysteries was the brainchild of producer Himan Brown, inspired by the unsettling creaking door in the basement of a studio where he once worked. Brown took that inspiration and built around it a formula that lived on beyond the show itself. 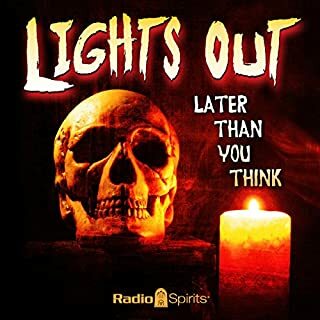 Listeners tuned in every week to hear that door open and be welcomed by the sinister yet often humorous host to join him in a chair near the fire inside the inner sanctum for a story sure to chill them to the bone. The Whistler, Volume 1 contains haunting stories of fate, dramas of crime, deception, and manipulation building to a sudden and shocking denouement, and through it all, the sardonic, mocking laughter of The Whistler! One of radio's most memorable thriller anthologies, the Whistler's stories revolve around ordinary people, pushed by the pressures of daily life into taking drastic action. "No, no...stay where you are. Do not break the stillness of this moment. For this is a time of mystery, a time when imagination is free and moves forward swiftly, silently. 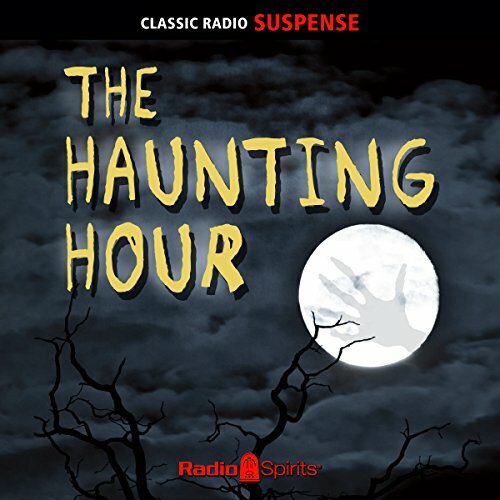 This is the haunting hour." Terror in the night! Terror on the air! Terror in your mind's eye! Steel your nerves against tales of ghostly graveyards and lonesome corpses...time travel and amnesia...mentalists, mummies, and murder! 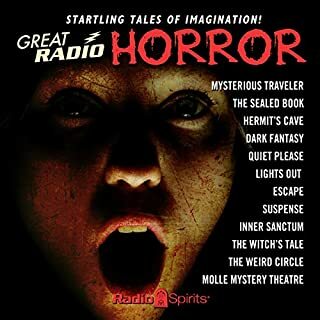 These 16 exciting tales of the supernatural and the strange feature Frank Lovejoy, Les Damon, Stacy Harris, Lesley Woods, Jackson Beck, Parker Fennelly, Lon Clark, Bret Morrison, Berry Kroeger, and more. 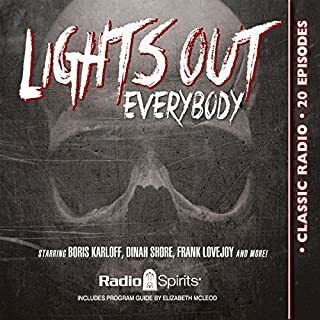 Episodes include: Breakdown (Program 1); The Case of the Lonesome Corpse (Program 2); Ptolemy's Grave (Program 8); Date in the Dark (Program 9); The Thought (Program 10); Double Threat (Program 16); Bird of Death (Program 22); The Uptown Express (Program 23); Unidentified Body (Program 24); People in the House (Program 27); Occupation: Murder (Program 28); Nocturne (Program 31); The Mystery of the Southern Star (Program 33); Murder Is My Business (Program 34); The Devil's Deep (Program 36); Assignment: Death (Program 39). Great dramas, but no supernatural element. I loved these mysteries, but there was nothing of the supernatural in them, contrary to the advertisement. I bought this audio book because of the misleading description, and would not have otherwise. Not really "Haunting" more "Detective Noir"
"Yeah it's like this, see, I'm going to kill your wife, see... She's gettin' it tonight at midnight... And I'm gettin' all the insurance money! 5 thousand smackeroos!" "Did you hear that? Dear, I think someone is planning to murder me! Oh I'm scared, darling!" "Oh now don't be silly, pet! Trigger McWifeshooter would never hurt a fly, you know that! Besides I got a big golf game tomorrow, and I gotta work extra late tonite...way across town... until 2AM probably. You just find a nice book or something all by yourself until I get back..."
"Oh I don't know... maybe It's just my silly female hysteria, but if you say it's alright." you in the dark winter nights. open your mind to the horrors that can lay at the back of one's mind. they use the musical organ to create background to heighten the horror effects. However; the organ sound effects are ABOMINABLE so loud and distracting and well OVERDONE that it slightly spoils these shows. One must try to overcome the sound effects and focus on the show's themselves. These are overall a great collection.